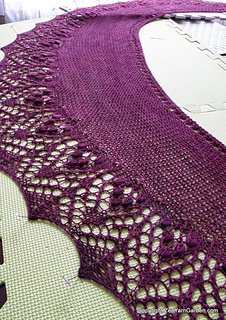 Although this shawlette takes just over 1 skein of yarn, it’s a lovely size for anyone who’s not a size 2. It’s my personal quest to design shawlettes for those of us who are more regular in size so we have enough fabric to wrap around ourselves. 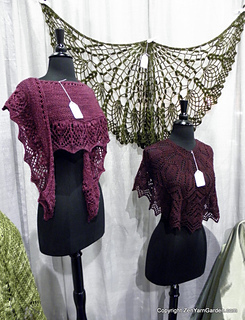 If we’re knitting for something to wear, it’s always nice if it does actually fit!